04262014_Pakistan_Becherer_015-copy: Global News Events: Global News Portfolio: New Orleans based Photojournalist covering the Deep South and beyond. KARACHI, PAKISTAN. 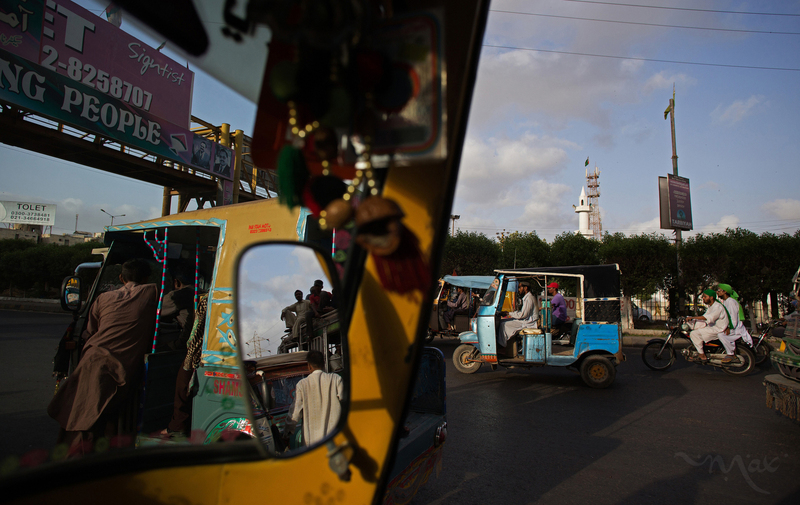 People rush home from work before the sun sets during Ramadan in front of a mosque run by the Ahle Sunnat Wal Jamaat party in the middle-class Nagin Chowrangi neighborhood in Karachi, Pakistan on Monday, July 7, 2014. The Ahle Sunnat Wal Jamaat was once called Sipah-e-Sahaba, a banned group in Pakistan.